I met Vanidevi during one of my spiritual journeys. It was unbelievable how instantly we connected. Little did I know that this encounter would take me on another spiritual adventure. Vanidevi's husband is a shamanic practitioner who lived in an indigenous community in Ecuador, learning their ways and practices. He is highly trained in shamanic rituals. His mission is to conduct shamanic ceremonies and bring awareness to the population in general of the healing value of shamanic work. As for Vanidevi, she is a gifted spiritual medium who incorporates the Ayahuasca Healing Spirit. Together, they take shamanic work to a new and higher level. One day, I received an e-mail from Vanidevi inviting me to attend a shamanic ceremony. The ceremony would take place in approximately three months. Without any hesitation, I accepted the invitation. Although I was low on monetary funds, I had faith that things would work out. And, so it did. Money appeared effortlessly. When the time arrived, I purchased an airplane ticket, gathered my things and headed south. It was the beginning of a new experience. When I arrived, Vanidevi was waiting faithfully. The first thing I noticed was her vibrant eyes and warm smile. Although our previous encounter was brief, she greeted me as a long-time friend. 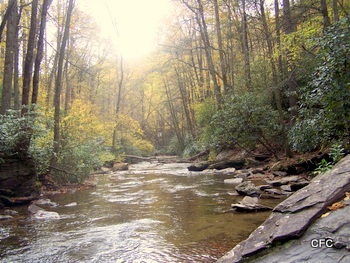 After embracing and exchanging a few affable remarks, she stated that she wanted to take me to a nearby waterfall. I agreed, and we were on our way. The waterfall was magnificent. After a long and exhausting trip, it was just what I needed. 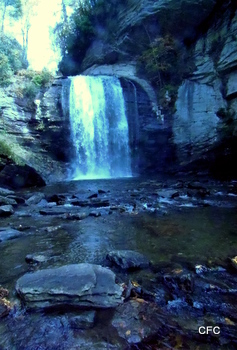 The sound of the falling water created a calming sensation inside me. It quieted all of my senses. For that moment, nature and I became one. Upon arriving to my friend’s home, I was greeted by her husband, another marvelous human being. I was amazed at the warmth and love that exuded from these two human beings. During my stay, I felt as if I were with family. ﻿A day prior to the shamanic ceremony, I expressed my desire to know more about the ceremony. Vanidevi’s husband made sure that every question was addressed in full detail leaving no doubts in my mind. "Is your spiritual practice the same as Santo Daime?" I asked. “No,” he replied. Although there are some basic elements between his practice and Santo Daime, they are distinct. He stays within the traditional shamanic framework, while Santo Daime tends to deviate incorporating other elements from several religious or spiritual beliefs. When the discussion of the Ayahuasca brew- an Amazonian sacred healing medicine plant mixture ingested during spiritual ceremonies- came up, he stated that it was part of the ceremony. However, it was the person’s choice if he or she wanted to drink it. The focus of the ceremony was for the person to experience the healing energy of the Ayahuasca Spirit. Everything else was secondary. Since I always had a difficult time drinking any form of liquid medicine or teas, I was relieved to hear that. However, who was the Ayahuasca Spirit which they spoke about in a profound loving manner, I wondered. Soon, I would discover the answer. Prior to my visit, I kept seeing an image of a female energy calling me. It seemed as if the energy was a constant reminder of the trip, pulling me into an unknown spiritual adventure. It is said that when a person has a strong urge to visit Shirdi, India, it is Sai Baba calling the person. Was this the same thing? Was the energy of the Ayahuasca Spirit calling me to this distant place to attend one of her shamanic ceremonies? I would find out soon. It was mid-afternoon, and the house was extremely quiet. The shamanic ceremony would take place around 8pm. I was in the kitchen attempting to come up with questions to ask the Ayahuasca Spirit. Vanidevi and her husband suggested that it would be a good idea to write my questions down on paper. This way, I would not forget when in front of the Ayahuasca Spirit. After a while, I came up with, “Am I in the right spiritual path?” It was the only question I could think of. My initial intention was not to ask questions, but to immerse myself in the spiritual energy that would be present that night. As I continued to sit silently in the kitchen, I began thinking about Ayahuasca. What was so unusual about this brew? I thought to myself. Although I was firmly determined not to ingest the liquid substance, the thought of Ayahuasca kept re-appearing. I decided to leave everything in God's hand. I was in the guest room looking out the window when the sun began saying its final good-bye for the day. There was immense calmness in the air. Suddenly, I heard a sound coming from the living room. 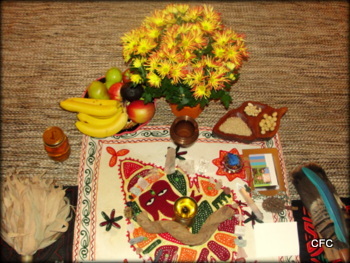 It was Vanidevi’s husband getting things ready for the shamanic ceremony. An altar was set up on the floor. It consisted of various items. Each item was placed meticulously on top of a cloth with the image of Ganesh in the center. It was time for me to get ready. The ceremony would commence soon. I changed quickly into my white clothes and gathered items that I wanted blessed. As directed, I carefully place the items on the altar. A place on the floor, on the side of the room, was set up for me to sit. Large and small pillows, as well as blankets, were made available to me. Additionally, a bucket was placed by my side. I was told that the bucket was nearby in case I decided to taste the brew and needed to vomit. They had thought of everything, and made sure that all my needs were met. I sat down and made myself comfortable. On previous occasions, I was told and read about people vomiting after ingesting Ayahuasca. According to Wikipedia,..."vomiting almost always follows ayahuasca ingestion..." Was the brew so nauseating that one would need to vomit? This did not sound right to me. I continued to pray for guidance. By now, the house lights were turned off. The only light available was coming from, what appeared to be, a candle. Vanidevi sat quietly in meditation as her husband began diligently blessing the items on the altar. Each item was given the same amount of attention, except for one- a jar with a liquid substance. It was Ayahuasca. He handled the jar delicately and with much love. It was the most precious item on the altar. Special blessing prayers and rituals were conducted. I continued to pray fervently. Unexpectedly, I began to experience a powerful impulse to taste Ayahuasca. It was as if some invisible force was directing me to do so. However, how was this possible? It was one thing to talk about doing something, and another to actually do it. I continued praying for guidance. As mentioned above, all my life I had a difficult time swallowing liquid medicine. This situation was no different. In fact, it was worst due to the brew's reputation- foul smell and horrendous taste. While Vanidevi’s husband proceeded with the rituals, I continued praying. A few minutes later, he moved towards Vanidevi and offered her a shot glass of Ayahuasca. She took it without any hesitation. Afterward she was given another glass that contained Guayusa, a pleasant drinking tea, to rinse and remove the undesirable taste from her mouth. My mind kept telling me that he would be approaching me soon. I continued to pray for guidance. When he moved towards me, he politely asked, “Do you wish to have some?” Before I could think of an answer, the words were coming out of my mouth. "Yes, I will," I said. It was as if some invisible force had taken over my body. Suddenly, I was pouring the brew into my mouth. I could not believe it. There was no taste or smell. When Vanidevi’s husband offered me Guayusa tea to rinse and remove the taste from my mouth, I refused. I was fine. Was spirit responsible for this happening? It had to be. Otherwise, I would have never been able to ingest the brew. There was no other explanation. Some individuals would discard the spiritual and provide a psychological explanation for my behavior. However, I have experienced many spiritual happenings in my lifetime to know the difference. It was time to call Ayahuasca Spirit to join us. The prayers and songs had begun. The mellifluous voices of Vanidevi and her husband electrified the atmosphere. Not familiar with the words, I hummed. Although I was now engaged in humming, the thought of what had happened to me earlier was still graphic in my mind. I remained stunned. In no time, Vanidevi was under the control of Ayahuasca Spirit. Her energy and the energy of the spirit became one. Vanidevi’s husband rushed over to assist. After exchanging a few words with him, Ayahuasca Spirit called my name. The spirit wanted me to sit in front of her. I rushed over and sat down. At first, I had a difficult time comprehending what the spirit was saying. It spoke in a low, soft voice. Although it was Vanidevi’s body, the tone of voice and form of expression were certainly not Vanidevi. The Ayahuasca Spirit was in control while Vanidevi’s conscious mind was on rest mode. “Look inside your heart. The answer is there. It will tell you if you are in the right path,” the spirit replied. “What was that about?” I said to myself. I wanted a definitive answer; instead, I got a “how to do it yourself” response. It was clearly not the answer that I expected. I remained silent and allowed the spirit to continue to speak. Suddenly, it stopped and took a feather from the altar, and proceeded to sway it near my upper torso and head in a systematic mode. As Ayahuasca Spirit continued to wave the feather in front of me, I began feeling an invisible energy force flowing throughout my entire body. The Ayahuasca Spirit was performing a spiritual cleansing on me. The experience was awesome. The thought of wanting a definitive answer to my question vanished. For one instant, the Ayahuasca Spirit's energy and I became one. ﻿By the end of the cleansing, things that were vague became lucid. I began to recognize the method of operation. the spirit's mission was not to answer my question, but to assist me to discover the answer. Additionally, the Ayahuasca Spirit wanted me to understand that all the answers to my questions were within me. In order to bring them forth, all I needed was to have faith and self-confidence. It was a profound lesson that I needed to receive. By now, I returned to my seating area. Vanidevi’s husband was listening attentively to the Ayahuasca Spirit. As I sat silently, I closed my eyes and meditated. I felt the energy that was transferred to me by the Ayahuasca Spirit embracing me more. 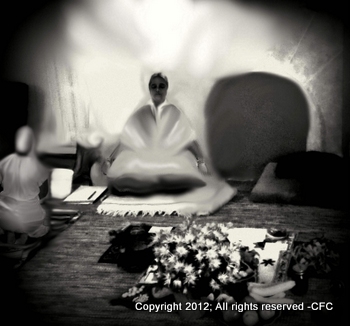 When, I opened my eyes, Vanidevi’s husband was in his seat, and the spirit did not seem to be occupying Vanidevi’s body. Once again, the singing commenced. I began forcefully shaking a maraca (a musical instrument) that was given to me earlier. The sound of singing and shaking of the maraca must have filtered through the gates of Heaven and awakened the angels for their divine energy was surely in the room. Unexpectedly, Vanidevi’s husband stopped singing. The Ayahuasca Spirit began speaking to him. Once again, the spirit called my name. I immediately sat nearby and waited for the spirit to speak. At one point, I asked the Ayahuasca Spirit to bless me. “Of course,” was the reply. The spirit instructed me to close my eyes, place my hands over my heart area and open myself up. Then, it placed Vanidevi's hands on my shoulders and heart. Immediately, a gentle, tingling sensation began swirling around my heart area. The more receptive I became, the more the sensation expanded to other areas of my body. By the end of the blessing, I felt as if my body was encased in an invisible shell filled with immense joy, love and healing energy. By the end, the Healing Spirit thanked me for tasting Ayahuasca brew. It was confirmed. The Healing Spirit made it possible for me to ingest the brew. I could not believe how bless I was. The Healing Spirit had given me a tremendous gift- the gift of love. The blessing was extraordinary. Soon afterward, the singing commenced. There was so much joy in the air. Earlier that day, Vanidevi told me that it was a common practice for people to get together to eat and talk after the ceremony. I could not comply. I was so exhausted after the ceremony that all I wanted was to go to sleep. I got up, apologized for not joining them, said good night and went to bed. It was the best sleep ever. The next morning, I shared my experience with Vanidevi and her husband. Although I did not encounter any “massive spiritual revelation” after ingesting Ayahuasca, the experience was of great value. Connecting with the Ayahuasca Spirit and receiving divine energy were unexpected gifts that I will treasure forever. I remained a few more days with Vanidevi and her husband. On the day of my departure, I thanked them for their warm hospitality and the opportunity to be part of a shamanic event. The trip back home was long and tedious. Surprisingly, I remained serene throughout the trip. As I looked out the plane window and focused on the clouds, my thoughts traveled back to the day of the ceremony. In that solitary moment, I began wandering why was I selected to attend a shamanic ceremony. The answer appeared out of nowhere. ﻿The purpose(s) of attending the ceremony was for me to be a witness to the divine energy and spread the word via this website and verbally. It is important for people to know that these ceremonies are meant for healing the body as well as the soul. People need to mend their ways and prepare for the journey back home. Ayahuasca is not a recreational drug as many think. It is a spiritual medicine created by God for healing the soul. Moreover, it heals the body as well as the soul in order to keep it in a balance and harmonious state. It works on different levels and should be used accordingly. People should not abuse it. Instead, Ayahuasca should be respected, loved and treated with the highest regards. ﻿Ceremonies guided by The Healing Spirit do not require the person to ingest Ayahuasca. The spirit only recommends when the situation calls for it. Its energy alone can perform wonders. ﻿ "I am Catholic, Hindu, Buddhist, Jewish, Muslim, etc. I am all. I am the essence of all Humanity, I am Black, White, Brown, Red, Yellow, etc. I am young, old, male, female, etc. People who will see the painting will see the image that they need to see in order to connect with me. I am all, and I am nothing. My mission is to lead Humanity into the path of righteousness and eternal light." Thank you, Healing Spirit for your immense love and wisdom. "Once SHE ( Healing Spirit) comes in to the body, SHE never leaves until we have finished ...............and SHE always asks us if there are anymore last questions before SHE leaves..........When SHE has finished Her work and we have no more questions or cleansing required, SHE suggests to close the ceremony."